Purpose: The purposes of this study were to determine if there is a relationship between succession planning and the identification of future perioperative leaders; if there is a relationship between mentoring for leadership and the identification of future perioperative leaders; to understand the current state of leadership in the operating room (OR), and to determine what methods are being used to identify perioperative nurse leaders. Background: An impending nursing shortage is expected to occur in the next decade, particularly within the specialty of perioperative practice and leadership. Providing access to surgical care is a major challenge for meeting the nation’s health needs and is a concern of the Institute of Medicine (IOM). Perioperative registered nurse orientation involves almost a year of competency-based mentoring and training while the perioperative nurse leader orientation may take even longer. The nursing shortage combined with the extensive training needed for leadership positions may contribute to a reduction of active ORs during the time period that nurses are undergoing training. The inability to staff the OR may in turn have a negative effect for the remaining five concerns of the IOM aims of quality, safety, equality, efficiency, and cost. Solutions to successfully close the gap between the supply and demand of perioperative nurses and nurse leaders need to be identified. 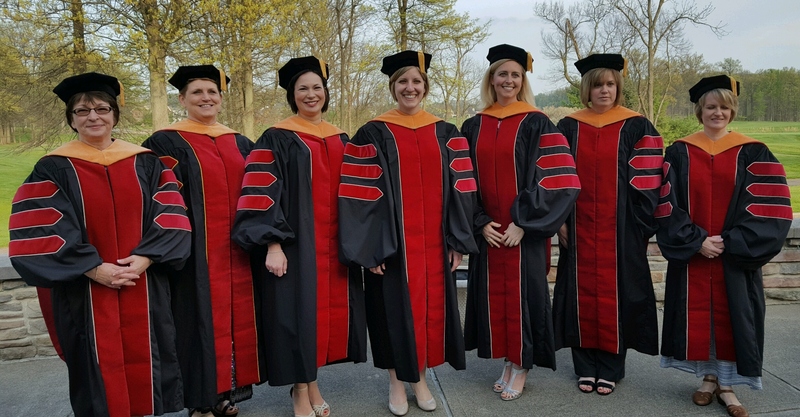 Doyle, DNP, RN, CNOR, NE-BC, Donna J., "Succession Planning and the Identification of Future Perioperative Leaders: A Mixed Methods Study" (2017). Doctor of Nursing Practice Scholarly Projects. 24.